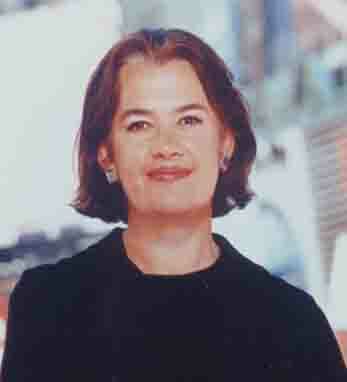 Judy McGrath was promoted to chairman and CEO, MTV Networks in July 2004. Previously, she was MTV Networks Group President and was responsible for MTV, MTV2, VH1, CMT, Comedy Central and LOGO, the first gay-themed cable channel. McGrath’s role includes overall responsibility for these networks and Nickelodeon, Nick at Nite, Spike TV, TV Land, Noggin, The N, MTV Digital Suite, MTV Networks International and all of the company’s related consumer products and digital businesses. Since McGrath joined MTV Network’s predecessor company in 1981, she has helped bring MTV from a maverick cable channel to a maverick global brand. The brainpower behind much of MTV’s most successful programming ventures, including The Osbournes, The Real World and Total Request Live, McGrath was also integral in launching shows like the Emmy-winning Daily Show with Jon Stewart on Comedy Central. Raised in Scranton, Pennsylvania, she is married and lives with her husband and daughter in New York City.